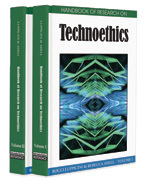 This chapter outlines a technoethics for sport by addressing the relationship between sport ethics and bioethics. The purpose of this chapter is to establish the conditions in which a technoethics of sport should be approached, taking into account the varieties and forms of technology in sport. It also provides an historical overview to ethics and policy making on sport technologies and contextualises the development of this work within the broader medical ethical sphere. It undertakes a conceptualisation of sport technology by drawing from the World Anti-Doping Code, which specifies three conditions that determine whether any given technology is considered to be a form of doping. In so doing, it scrutinizes the ‘spirit of sport’, the central mechanism within sport policy that articulates a technoethics of sport. The chapter discusses a range of sport technology examples, focusing on recent cases of hypoxic training and gene doping. If one examines the history of modern sport, the importance attributed to discussions about the ethics of technological development is unclear. This is surprising since, via the technology of performance enhancement, ethical discussions about sport technologies are among the most visible of topics politically and culturally. Instead, there is evidence of a struggle to implement a specific ethical view on doping, which functions as an assumed, rather than contested ethical terrain. This struggle is exhibited through the rhetoric of anti-doping policy and the governmental processes that underpin anti-doping. For instance, in 1998 the World Anti-Doping Agency was conceived as a result of growing criticisms that anti-doping work should be separate from the International Olympic Committee. Between 1999 and 2002, one of the major struggles of WADA was to achieve the signatures and commitments of participatory governments and sports federations. In this instance, the ethical struggles were never about the soundness of anti-doping arguments, but the ethics of implementation and policy-making. The alleged ethical consensus that surrounds this anti-doping work shapes the conditions within which ethical debates about technology in sport have taken place and prescribes the limits of ethical inquiry that surround the governance of elite sports. As further illustration of this disinterest in the technoethics of sport, one can observe that nearly no research has been funded from sports organizations to investigate the ethics of technology in sport. Some exceptions include research conducted at the Hastings Center (New York) since the 1980s under the direction of its current President, Thomas H. Murray. Murray’s contribution as a long-standing contributor to various sports-related doping authorities is notable, though it is also exceptional. Despite the projects funded through the Hastings Center, ethical reasoning on this issue appears to be of limited interest to sports policy makers. The evidence suggests that there is nearly no political weight behind the interests to question fundamental ethical issues about performance enhancement. Rather, this kind of ethics functions as a form of rhetoric that seeks to endorse an already assumed ethical stance: that doping is wrong. Doping: Doping is defined by the World Anti-Doping Code, as the occurrence of a ‘rule violation’. Often, the doping concerns of institutions relates specifically to the abuse of regulated substances, such as anabolic steroids. Notably, doping offences also includes the presence of substances that would mask the effects of other enhancing substances. Within the world of sport, a policy of ‘strict liability’ is employed to remove positive test cases from competitions. Recently, this policy has been expanded to include more circumstantial evidence, such that a non-analytical positive is now a possible route towards disqualification. Tommy John Surgery: Technically known as ulnar collateral ligament reconstruction (UCL), the procedure is named after the baseball pitcher for the Los Angeles Dodgers who first underwent the surgery. The procedure involves the replacement of a ligament in the medial elbow with a tendon from another part of the body. Today, there are strong chances of recovery, though at the time of John’s procdure, the probability was extremely unlikely—approximately 1%. Anecdotes indicate that athletes throw harder after the surgery, compared with their pre-injury ability, though it is thought that this improvement is more closely linked to the recovery therapy, rather than any transformation of the biological structures. Spirit of Sport: The third criterion of the World Anti-Doping Code. New technologies are tested against this criterion to determine whether or not they should be permitted within the acceptable means of performance enhancement in elite sport. The spirit of sport is the closest definition of an ethics of human enhancement that is given within international agreements about the ethics of sport technology. World Anti-Doping Agency: The organization responsible for harmonizing anti-doping policy across all International Sports Federations. WADA began in 1999, taking on the role from the International Olympic Committee, where it was formerly located. The World Anti-Doping Code governs all Olympic events. Hypoxic Training: The utilization of indoor environments that simulate varying levels of altitude by altering the density of oxygen within the area, as would occur by travelling to locations of varying altitudes. By increasing the endogenous production of erythropoietin, hypoxic training can increase the endurance capacities of athletes or, more properly, the capacity to carry oxygenated red blood cells to muscles. In 2006, the world of sport considered whether such environments should be considered as a form of doping and decided that they could not. The formula of ‘living high and training low’ is regarded to be the optimal condition for performance and hypoxic training allows athletes to capitalize more fully on this possibility. Tetrahydrogestrinone: (THG; ‘the clear’). A designer anabolic steroid closely related to the banned steroids trenbolone and gestrinone. In 2003, it was added to the banned substance list after a sample of it was left at the United States Anti-Doping laboratory in California. The United States Anti-Doping Agency linked the substance with the Bay Area Laboratory Co-Operative, which was subsequently linked to the distribution of prohibited substances to numerous leading athletes. The Olympic Charter: The foundation document to the Olympic Movement, which outlines the philosophy of Olympism. This Charter distinguishes the Olympic Movement from other sports-related organisations, revealing its character as an organisation that aspires towards the aspiration of non-governmental organisations, but which delivers through a commercial model funded by the selling of intellectual property associations. Nutrigenomics: The study of molecular relationships between nutrients and the genome. The contribution of nutrigenomics to elite athletes could be the growth of ‘functional foods’, which allow an athlete to optimize performance enhancements, without needing to resort to synthetic substances. Gene Doping: Gene doping has a precise definition with the World Anti-Doping Code as ‘the non-therapeutic use of cells, genes, genetic elements, or of the modulation of gene expression, having the capacity to improve athletic performance’. However, the Code does not take into account the possibility of germ-line genetic engineering and how, subsequently, sports would deal with the possibility that people might be born with already genetically enhanced predispositions. Over the years, some athletes have been born with abnormal genetic conditions that have benefited them in competition. There is currently no way of dealing witch such cases, unless it is concluded that the abnormality makes an athlete unfit for competition.